The Alaska Diabetes Prevention and Control Program promotes and assists with expanding the number of Diabetes Self-Management (DSMP) and National Diabetes Prevention (NDPP) Programs in the state. The Section of Chronic Disease Prevention and Health Promotion provides support for the Alaska Pharmacists Association to organize and teach the association’s Pharmacist and Patient-Centered Diabetes Care Certificate Training Program in Alaska. Meet Molly. She was diagnosed with diabetes, lost a large amount of weight, then was diagnosed with breast cancer, and she lost weight again. Nearly 30 million Americans have diabetes, and almost 18 million of them manage their disease through insulin use, oral medication, or both. Consequently, most pharmacists work with diabetes patients every day. These frequent interactions show that community pharmacists are uniquely positioned to help people with diabetes manage the disease. Although a pharmacy may be a challenging place for patient education, there are other ways pharmacists can help. There’s a clear need to educate patients about ways to better manage diabetes in Alaska, where nearly 8% of the population has been diagnosed with the disease. A variety of community-based, peer-led, and professional diabetes self-management programs are offered across the state to reduce illness and death related to diabetes, reduce health care costs, and empower people to understand and manage their disease. These programs include the Diabetes Self-Management Program (DSMP), National Diabetes Prevention Program (NDPP), and Diabetes Empowerment Education Program (DEEP). Taught in a group format, these programs are available at little or no cost to people with diabetes, those with prediabetes or at high risk for diabetes, their family members, and caregivers. Classes are led by health educators, health care providers, lifestyle coaches, or trained community members. Even with these efforts, more help is needed to teach people how to prevent or manage their diabetes. Expanding the role of pharmacists in diabetes education is a new and innovative way of helping reduce the impact of diabetes. Despite their frequent interaction with people who have diabetes, few Alaska pharmacists are involved with these diabetes self-management programs. More pharmacists help with the Medicare Diabetes Self-Management Training (DSMT) benefit because they can receive direct reimbursement through the Centers for Medicare and Medicaid Services. Medicare DSMT is part of the Standards of Diabetes Care for people with diabetes and is performed in programs recognized or accredited by the American Diabetes Association or the American Association of Diabetes Educators. However, access to Medicare DSMT may be a challenge for some people who face potential barriers that include a referral required from a physician or qualified non-physician practitioner and a copay. Even so, pharmacist involvement in Medicare DSMT benefits patients, and increased pharmacist participation in other diabetes self-management programs would likely result in additional support for diabetes patients and help many patients who aren’t reached through Medicare DSMT. As a consultant to the community-based Diabetes Empowerment Education Program (DEEP), Kyla Newland is one of a few Alaska pharmacists involved in a program that isn’t Medicare DSMT. A pharmacist at Fred Meyer and a member of the quality improvement staff at Mountain-Pacific Quality Health, Newland says her work with DEEP is meant to “create that link to the formal medical community.” Each DEEP series consists of six classes, and Newland helps with lessons that focus on diabetes self-monitoring, understanding medications, and talking to medical providers and pharmacists. She discusses many aspects of diabetes — such as parts of the body affected, the disease process, complications, and medications — but there’s an equal focus on empowering participants. DEEP is built on the premise that people’s ability to understand health information and then make health care decisions is essential to improving the lives and health outcomes of people with diabetes. During DEEP classes, participants role-play and identify questions they might ask a pharmacist. Newland hopes that participants leave the program knowing that pharmacists and health care providers are approachable, and they have gained confidence in their ability to talk with them. Newland has been through two diabetes certification programs, including the Pharmacist and Patient-Centered Diabetes Care Certificate Training Program developed by the American Pharmacists Association and the University of Southern Indiana’s Diabetes Management Certificate Program. She provides diabetes education through her work at Fred Meyer, but her role at Mountain-Pacific gives her the opportunity to work with DEEP. She acknowledges that involvement with these programs is contingent on employer support and may not be possible for all pharmacists. Newland also recognizes reimbursement is complicated and doesn’t necessarily incentivize providing diabetes education. However, she said she is hopeful that pharmacists will soon be able to bill for providing health education services. New federal legislation to add pharmacists to the list of recognized providers is currently being considered, and if adopted, would be a step toward removing the barriers many pharmacists face in providing patient education. 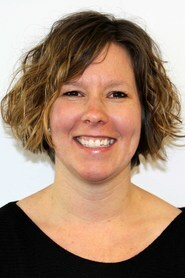 Newland considers her work as a DEEP consultant rewarding. She’s seen many participants have “aha moments” about what they can ask their pharmacist and likes the idea of redefining the patient-pharmacist relationship. Newland sees great value in increasing the presence of pharmacists in diabetes self-management programs and believes that pharmacists “are in a great position to help with community-based diabetes programs, because they really know the patients." National Diabetes Statistics Report, 2014. Centers for Disease Control and Prevention website. 2014 Report Estimates of Diabetes and its Burden in the United States. Accessed February 22, 2016. Health Indicator Report of Diabetes Prevalence. 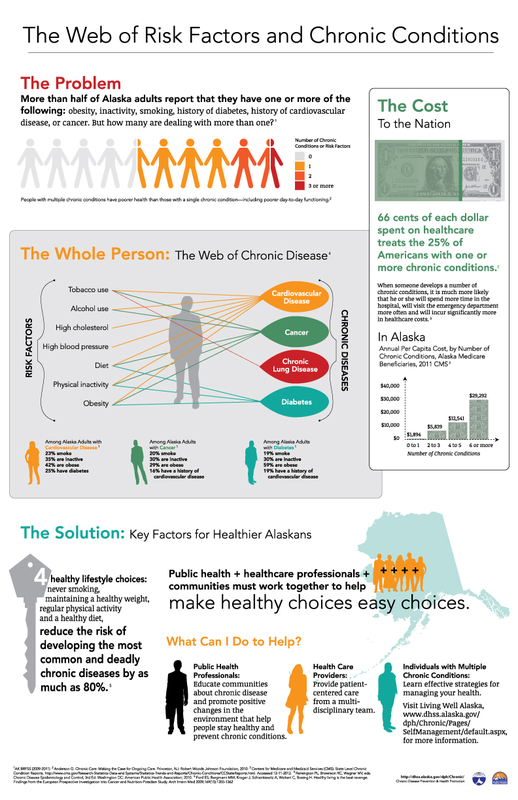 Alaska Department of Health and Social Services, AK-IBIS website. Published February 3, 2016. Accessed February 22, 2016. Fleck S. EDC DSME vs. Medicare DSMT Benefit. Published February 2015. Everyone with Diabetes Counts, Quality Improvement Organizations, Centers for Medicare and Medicaid Services website. EDC DSME vs. Medicare DSMT Benefit. Published February 1, 2015. Accessed February 25, 2016. Enroll in the FREE prediabetes on-line program: TurnAround Health! FREE 1 year subscription with PROMO Code: Alaska2015. SIGN UP Today! "Power of Past, Force of the Future: Public Health Nursing"